Glanbia plc, a global nutrition group with a presence in 32 countries; Select Milk Producers Inc., and Dairy Farmers of America today announced they will invest $425 million in a new, 146-acre dairy-processing facility in St. Johns, north of Lansing. Proliant Dairy will also invest $85 million in an adjoining whey permeate facility. The Michigan Strategic Fund today approved the project. Once completed, the site will be among the largest dairy processing facilities in the country. Construction is expected to begin in September and be completed by December 2020. Spartan Michigan, a company formed by the partnering of Glanbia, Select Milk Producers Inc., and Dairy Farmers of America, will develop the facility. It is expected to create 259 new jobs and will process more than 8 million pounds of milk per day. The facility is expected to improve the current oversupply of milk and reduce high shipping costs that have hurt Michigan dairy farmers. The adjoining facility will manufacture whey permeate powder for human and animal consumption and employ 30-38 new workers. The whey permeate products will be will be made from byproducts from the milk processing facility, eliminating the cost of transportation. Glanbia will oversee commercial, technical, and business operations to produce cheese and whey products at the campus. The project is supported by grants, investments, and tax abatements from the Michigan Strategic Fund, Michigan Department of Agriculture and Rural Development (MDARD), and Michigan Department of Transportation. Dairy Farmers of America and Select Milk Producers, both dairy cooperatives, will supply milk to the processing plant, ensuring Michigan dairy farmers have a dedicated home for their milk. Michigan Milk Producers Association is not an investor in the new plant, but the organization is expected to supply milk to the plant. There are 1,747 farms in Michigan, including 1,498 Grade A farms and 249 manufacturing-grade farms. The average farm in Michigan has 176 cows and are 98-percent family owned. Michigan ranks fifth in the country for total milk production, with dairy farmers contributing $15.7 billion to the state’s economy. 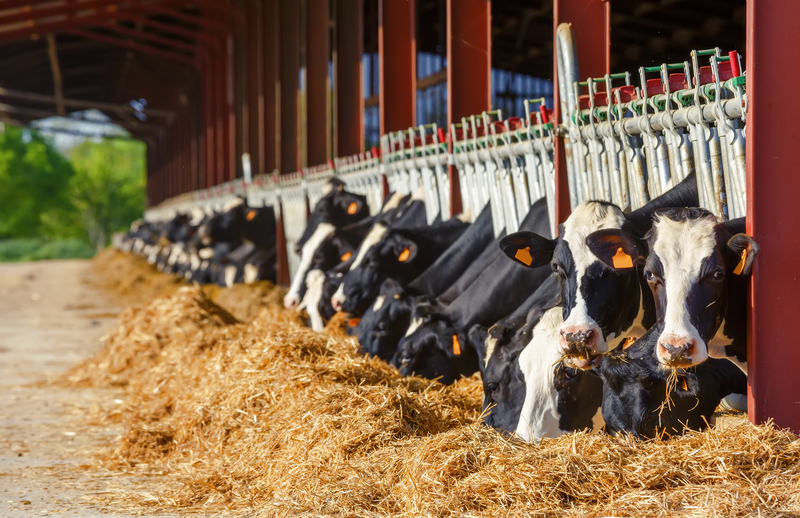 “Michigan is ripe for growth with a surplus of quality milk, so there’s tremendous opportunity to not only benefit the dairy farm families in this area, but also the local economy and region,” says Greg Wickham, CEO of Dairy Farmers of America.